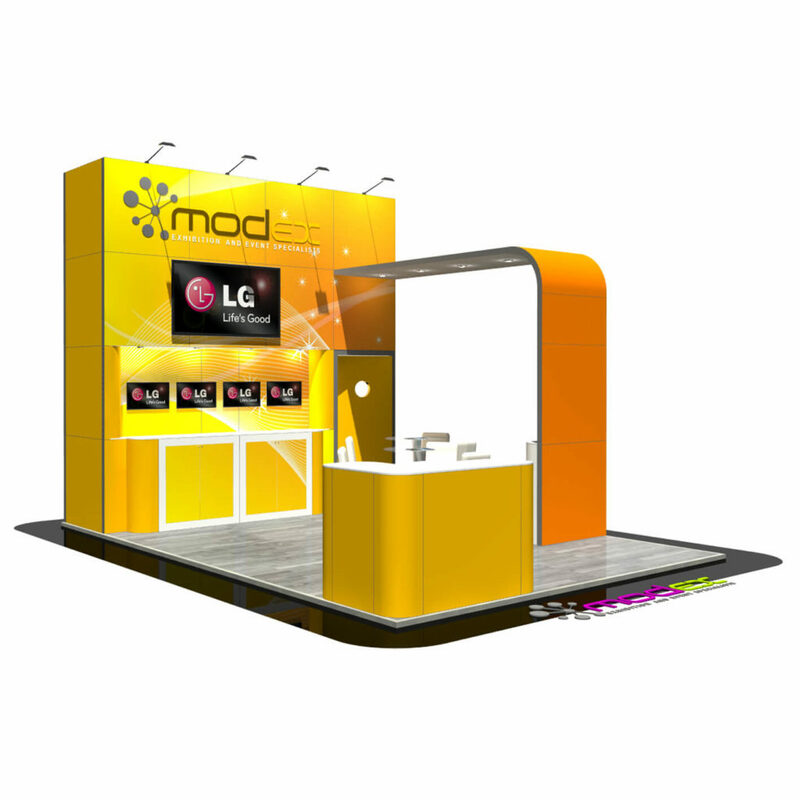 A 6 x 4 metre exhibition stand which incorporates a large store room on the back wall, this has a slight recess on the front to display 4 small screens and 2 large lockable cupboards. The stand also has an arch which protrudes out from the back wall which also includes a cupboard. At the front corner of the stand there is a freestanding counter with lockable cupboard. To complete the stand there are 2 meeting tables for customer interaction and overhead lighting.